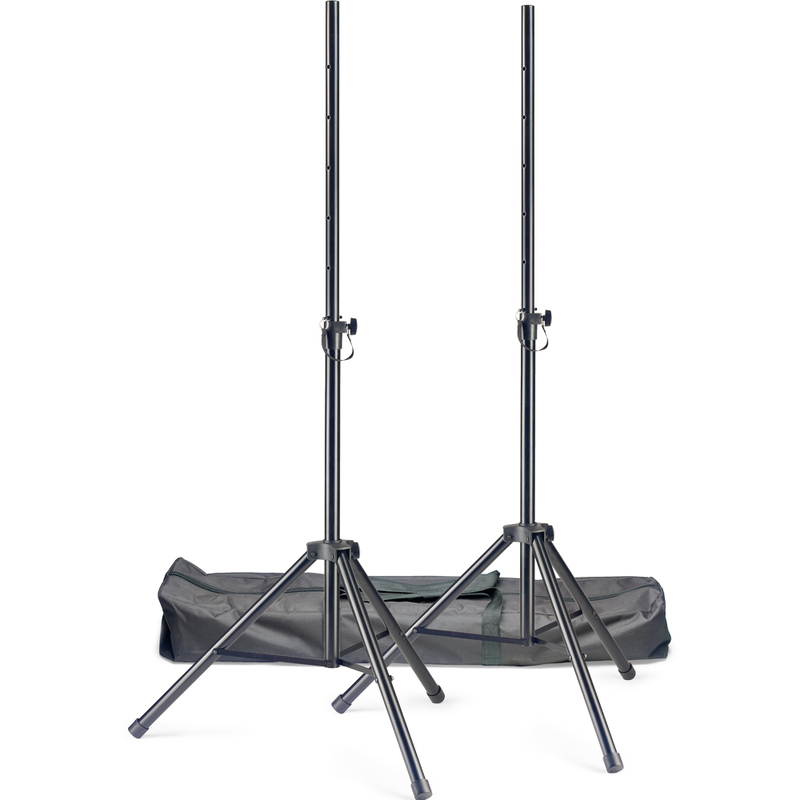 The Stagg SPSQ10 set consists of 2 steel speaker stands with a scratch resistant powder coating. They have a stable tripod base and can be folded flat for easy transportation. A durable carry bag with straps, an internal divider and a heavy duty zip is also included.